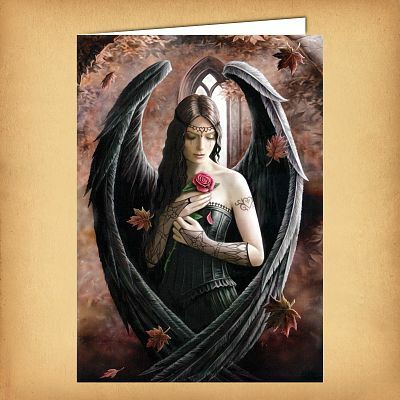 - This gothic style angel's wings curve round protectively in a heart shape, and she looks down in sad reflection as a petal falls from the rose. It symbolizes the inevitable passing of all things, a message echoed by the falling leaves. Card measures 6 3/4" by 4 3/4". Do you have any other questions about our Angel Rose Greeting Card?